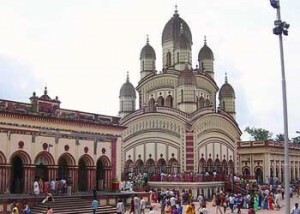 Dakshineswar is renowed for its famous Kali Temple. It is located at the extreme north of Kolkata.The name of this temple is associated with Shri Ramakrishna Paramhans Dev who had been an exponent of integration among different religions . 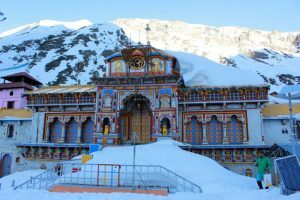 The temple were started to built in the river side of Ganga in 1847 on a plot of 25acre of land and ended in 1855 by Rani Rashmoni of Janbazar.There are also twelve Shiva temples,one Lakshmi-Naryan temple,one Rani Rashmoni temple and one Thakur Ramakrishna temple..In this temple,Kali is standing on the chest of Lord Shiva and Shiva is lying on a silver lotus having 1000 petals. Devotees throughout the year frequent this temple. Rail: Trains are ply from Sealdah to Dakshineswar. Road: Buses,private cars are available from kolkata. This entry was posted in Dakshineswar, Temple, West Bengal and tagged bengal, dakshineshwar, dakshineswar kali temple, dakshineswar mandir, devotees, hindu temple, hindu temples, hinduism, kali ma, kali puja, kalipuja, kolkatta, lord shiva, maa kali, mandir, pooja, shiva temple, swami vivekanand, swami vivekananda, Temple, temples. Bookmark the permalink.